Your soul ascending the heaven-earth connection. 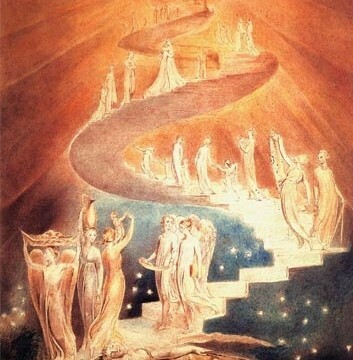 Picture: William Blake’s Jacob’s Ladder (ca. 1800) British Museum, London (Source: Wikipedia). Jacob’s ladder. Your soul’s vehicle to encounter ha makom (the place)—a place like no other. A place of sanctity and a portal to the highest realm . . . a portal to ha makom, your deepest reality, G-d Himself. The One who not only is in the holy place, but He is the holy place. I’ve long been intrigued by Jacob’s ladder—a stargate as one of my old rabbis used to call it. Whenever he’d say that, it would make me feel like I was sitting smack dab inside a Star Trek episode rather than a shabbat Torah study. Nonetheless, rabbinic thought over the ages has viewed Jacob’s ladder from different perspectives: Steps of the soul, steps of Torah, steps of divine revelation—and even steps of various realms of prayer. And I dare add, steps to moshiach. Whatever theological-philosophical bent you wish to take, the bottom line is, each rung moves you. Takes you deeper, higher into your soul and into ha makom, where you experience a divine encounter—inhaling, exhaling the very ruach (spirit) of G-d.
With each rung’s experience, you transform your soul into a dwelling place for Him. In an essay based on Rabbi Schnuer Zalman’s discourse, Rabbi Yosef Y. Jacobson begins with Jacob’s dream at Mt. Moriah, where our patriarch experiences a prophetic encounter. “A ladder etched on the earth, while its peak reaching the heaven; and behold, angels of G-d are ascending and descending on it, and G-d is standing over him.” Genesis (B’reishit) 28:12. Interestingly—per a post about Parashat Vayetze —the word sulam is only used once in the Tanakh. It also has been translated as “stairway” and could be derived from סלל, meaning to lift or cast up—as in to lift the voice—or also could be derived from solela (סוללה), a defensive mound of earth around city walls. Sounds like empowering battle strategies to me. A ladder or stairway to G-d . . . where you can lift up your voice to Him and wind up fortifying your soul from earthly and spiritual assaults. Prayer is our Jacob’s ladder, pathway to G-d . . . where we are ever looking up as we transcend glory to glory, never looking down or back. Judaically, four realms exist within that—based on Isaiah 43:7 where G-d called us by His glory, created us , formed us, and made action. The road is straight—we’re the ones who construct the left turns, right turns, dead ends. Prayer’s first rung on the ladder is about getting things back on track, re-synced with Him . . . in your heart, soul, mind. Love is the fabric of your “action garment” that nudges you to depart from yourself, for yourself. Spending time with the L-rd—in spite of that lethargic, self-willed nefesh, your life force/animal soul tied to the things of this world that you probably wrestle with daily. In Song of Solomon 2:10, 13b, G-d beacons us: “Arise, my darling, come away.” Now that’s a holy offer that has hodo l’HaShem written all over it—surrender to G-d. When the word “arise” appears in the Torah, a physical and a spiritual shift are in play. Movement is taking place. G-d is asking you to arise from where you were—mentally, spiritually, emotionally, physically—and transition geographically to a secluded place with Him, spiritually and on all other fronts. That takes arising from your neutral state of daily being and leaving behind what you considered your norm to go away with your beloved—to a quiet place, a different place for your soul and within your soul. Prayer is two-sided. It’s relational. It’s your soul’s communication life line with its Creator. It starts with developing a genuineness before G-d. Raw honesty. No-holds-barred. Respect. Why give Him anything less? It’s not like you can hide, manipulate, or fool Him . . . right? Besides, your neshama—highest part of your soul that’s attached to G-d—hungers to get the rest of your soul matrix in alignment with Him. Don’t be afraid. He’s your dad . . . the really, really, really good one. The one you can count on. The one who didn’t and won’t leave you or forsake you. He only wants to do good for you, in you, and through you. with the depths of your soul’s reality. alienates you from the truth of who you are—a total disconnect. Meaning? Your soul has a level of that reality and needs connecting to the depth of that reality so you can forge ahead, ascending the rungs of your Jacob’s Ladder to enter the deepest parts of G-d. Your soul needs redesigning, conforming to His reality—not yours. That takes complete and continual weeding . . . no seeds left to resurrect. Scary stuff sometimes. Reformatting your soul’s hard drive, as Jacobson mentioned, means losing everything—but it also means getting a do over . . . a restarting, recreating, renewing, regenerating . . . on a pristine platform. You become reformatted via His dynamics, His emotional structure so you can carry His divine essence, His truth, His reality back down your ladder into your life and the world around you. A clear, manifested shift in your physical environment occurs, which impacts the spiritual . . . and vice versa. As in the previous rung, it all begins with hodo l’ haShem, surrendering to G-d. And in all prayer, it means going before Him with kavanah—spiritual focus and awareness . . . not rote. long, one-sided laundry list of petitions. Quietly wait in His presence. Let Him talk for a change. G-d has things to say. Important things. A better perspective. A game plan of what’s best in your life for every situation facing you. And He even has the right words to reveal to you, showing how to intercede for others with real power—His kingdom power. Let His flashlight of introspection beam through your soul. As He highlights (brings to the forefront of your soul’s mind) areas that need repentance (180-degree mindset change), journey through the process of humility before your King. will be manifested here on earth. And that’s what walking in the heaven-and-earth connection is all about. Reminder: This site explores both Judaic and messianic thought to bridge understanding. A vivid example of hodo L’haShem (surrendering to G-d) is found in Yeshua (Hebrew name of Jesus). Those who believe in Yeshua as messiah know from accounts in the New Testament that he often left his disciples (talmidim) and retreated to a quiet place where he could connect with Adonai. While his soul constantly surrendering to Adonai and lifting its voice to heaven in that heaven-and-earth connection, he saw what the Father was doing—and did it. What he heard the Father praying, he prayed. 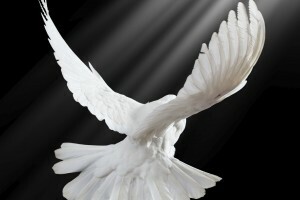 However the Holy Spirit was leading, he followed. Adonai’s thoughts became his thoughts. Adonai’s ways became his ways. in total obedience . . . to the Law and Adonai. Adonai had laid the fullness of His presence (Sh’khinah/glory) on Yeshua, per John 1:14, 51. And through the fullness and power of Adonai’s Ruach ha Kodesh, Yeshua brought down the reality and truth of the Father into our human reality . . . and in that holy and complete surrender, he actually became Jacob’s Ladder, the connection, the link between Adonai’s divine revelation/Cloud of the Presence and us. He healed the sick. He rose the dead. He cast out demons. the lepers were cleansed, the deaf heard. Heaven had invaded earth with its glorious presence. G-d’s freedom road—he became the way to that road, is that road, is that heaven-earth ladder, and is, in essence, our reboot. On rung three of the prayer ladder, submerge into His presence, going deeper still as you surrender more to Him. Let Him ravish your heart, soul, and mind with His love, cleansing, mercies, which are new each day. Worship is the most powerful spiritual warfare tool you have. Use it. Put on a garment of praise—honest, from-the-soul worship vs. singing rote, liturgical songs or repetitious chants. Battle through any obstacles by singing His Word, scriptures . . . His promises, psalms, or any other scriptures that declare His goodness. Sing from your soul, let the Holy Spirit (Ruach haKodesh) impart a new song, new melody, new rhythms, new lyrics so you can give true honor to your King. Most importantly, listen to what the Spirit is saying and leading you to do. Press into His heavens and continue to surrender your soul to His presence . . . let the waterfall from His throne flood you with understanding, wisdom, new revelation, and His Heavenly perspective. It will release you to new depths of His being and lead you into His secret place. Your soul is a living tablet, like the tablets given to Moses on Mt. Sinai. In your times of intimacy with Him, G-d etches Himself within you. His Name, which is His character, permeates your being and becomes the very structure of your soul. Your soul’s identity is revealed through intimacy with Him. In times of genuine intimacy with G-d—seeking Him with your whole heart, hungering for Him, where He becomes your soul’s desire—you learn who He really is . . . who you really are . . . and what He’s calling you to be and do. It’s in intimacy that He strips away the old, dead, decaying stuff that’s clogging up your soul. A secret place. Special place. Not of this world, yet you are standing in this world and heaven at the same moment.This is where you are to dwell . . . in Him, in that holy, uncommon place where heaven and earth intersect. Sweet, holy, cherished. Touching the unseen King and receiving prophetic revelation. That connection that shifts the atmosphere around us and brings His Kingdom into our daily lives and the world around us. At the end of the day, faith must preside. Whatever we think or think we think . . . know or think we know . . . have or think we have . . . must be set down so we can journey up that ladder to the face of G-d.
And, yep. Expect some arm wrestling. Entering that state of hodo L’haShem (surrendering to G-d) at any juncture or with any issue of our life is a process. Maybe even a l-o-n-g process. That’s especially true for those of us who have learned to drill down and increasingly question as a means to learn more deeply. Avraham had ten rungs on his ladder—ten tests of faith—that led him to being called ” tzadik” (righteous) before the L-rd. The first was “lech lecha,” a command from G-d initially given to Abraham, but to us now as well to “go for yourself” or “go to yourself” or “go into yourself.” It was a physical journey away from his homeland/people as well as a spiritual/soul journey into himself for himself where he encountered deeper levels of G-d, shed false expectations, allowed his soul to be reconstructed so he could put on a finer garment: an intimate relationship with G-d.
May we all have the faith, trust, and soul desire to do the same. Both the Judaic and messianic camps share this reality: As personal and private as that one-on-one encounter with G-d is as you transcend Jacob’s ladder, it is not meant to be self-contained. Nor is it meant to be left at the altar. It’s a precious, holy gift—a treasure of His love, presence, and revelation—that must be guarded, cherished, shared. Your one-on-one G-d encounter needs to be released into your everyday life where it can muffle your yetzer hara (evil inclinations, your flesh) and its self-focused desires/ways. In fact, both Judaic and messianic thought appear to agree with that. Check out these scriptures below, related to that as well as to this blog post topic. Isaiah 42:6*. I am the L-rd; I called you with righteousness and I will strengthen your hand; and I formed you, and I made you for a people’s covenant, for a light to nations. Isaiah 60:3*. And nations shall walk at thy light, and kings at the brightness of thy rising. Psalm 43:3*. Send out your light and your truth; let them be my guide; let them lead me to your holy mountain, to the places where you live. Psalm 89:16*. 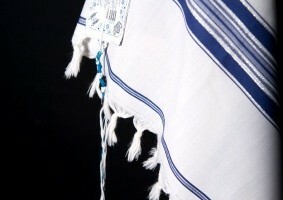 Fortunate is the people that know the blasting of the shofar; O L-rd, may they walk in the light of your countenance. You are the light of the world. A city set on a hill cannot be hidden; nor does anyone light a lamp and put it under a basket, but on a lampstand, and it gives light to all who are in the house.Let your light shine before men in such a way that they may see your good works, and glorify your Father who is in heaven. Luke 11:34. The lamp of your body is the eye. When you have a ‘good eye,’ [that is, when you are generous,] your whole body is full of light; but when you have an evil eye, [when you are stingy,] your body is full of darkness. Luke 5:15-16. But the news about Yeshua kept spreading all the more, so that huge crowds would gather to listen and be healed of their sicknesses. However, he made a practice of withdrawing to remote places in order to pray. John 1:4. In him was life, and the life was in the light of mankind. John 5:19. Therefore, Yeshua said this to them: “Yes, indeed! I tell you that the Son cannot do anything on his own, but only what he sees the Father doing; whatever the Father does, the Son does too. Ephesians 5:10. Walk as children of Light (for the fruit of the Light consists in all goodness and righteousness and truth),trying to learn what is pleasing to the L-rd. Blog article originally created 2009, then revised January 2015 and July 2016.